Nero, a Newfoundland, was found in the rubble of the burned house where he lived. The remains of a dog that saved a family from a house fire were found Wednesday in the rubble of the burned home, the family said. 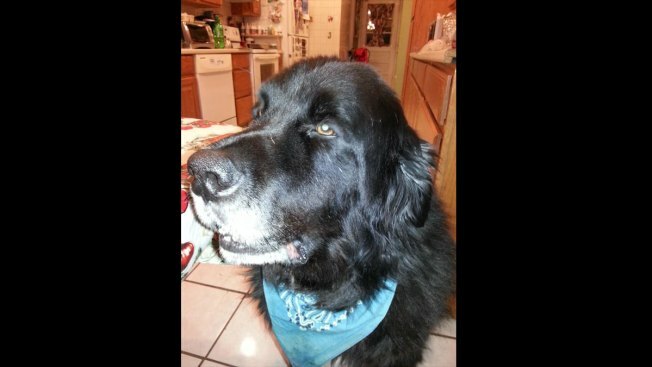 The family had believed Nero, a 10-year-old Newfoundland, had escaped from the fire and had asked their Westchester County community for help finding him. "You have no idea, I feel like I lost a son," Giulio Elieso said. "Without him, I would have lost my wife and my daughter in the fire." On Nov. 24, Nero woke Maria Eliseo and her daughter Marie, who had been asleep in their Yorktown Heights home, so they could escape from the flames. The daughter ran through black smoke to get outside, while neighbors brought a ladder to rescue her mother from a second-floor bedroom window. “If it weren’t for Nero, I would not have gotten out in time,” Marie Eliseo said. Soon after the blaze was extinguished, the family found their three other dogs -- an English bull dog, a husky, and a Chihuahua mix -- all dead from smoke inhalation. A Facebook page has been set up to collect donations for the family. -- Pei-Sze Cheng contributed to this story.